Welcome to the February edition of our ENews.The feel of autumn is in the air and many of you will soon be planning planting days, hopefully with the help of some rain. As I continue to get an understanding of the work your groups do, I can certainly see that this is true, so congratulations to all of you who work so hard to help create a healthier local environment. LANDCARE GROUPS EXPRESS CONCERN OVER REMNANT ROADSIDE VEGETATION MANAGEMENT. Newham Landcare recently invited the Federal Member for Bendigo Lisa Chester and the State Member for Macedon Mary Anne Thomas to view remnant roadside vegetation in the region and listen to their concerns regarding its management.They were joined by Woodend and Ashbourne Landcare and other Environmental groups operating in the Macedon Ranges. The Landcare groups are calling for better protection of the remnant roadside vegetation. The area holds important remnants of rare plant communities such as the Alpine Shaggy Pea and some protected under Federal Legislation such as the Flax Lily, as well as threatened animal species. The Landcare groups are concerned that inappropriate mowing, slashing, weeds, dumping of waste material and planting exotics are destroying these ecological assets. The groups are calling for the completion and endorsement of the Macedon Ranges Roadside Management Strategy for council managed roads, with specific actions to protect high and medium quality roadside remnant vegetation from further damage from contractors and landowners. 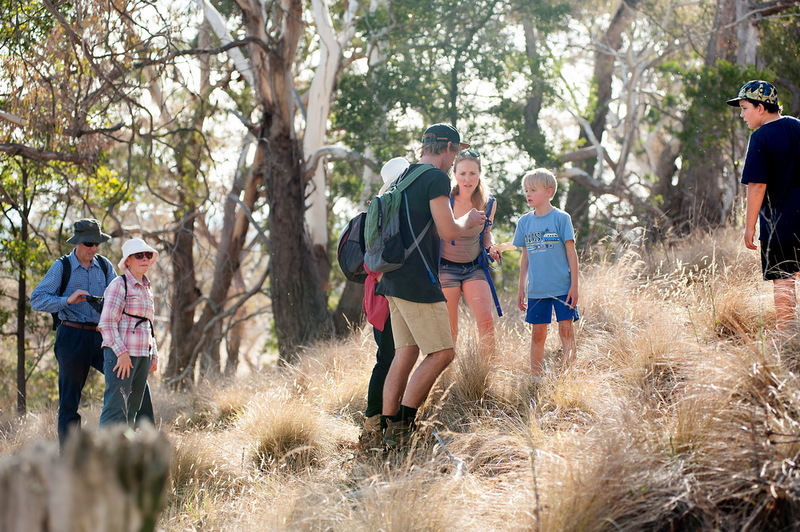 The Friends of Bald Hill Reserve recently hosted a Creepy Crawlies Walk and Talk at the Bald Hill Reserve. Wild Action presenter, and a Friends of Bald Hill member, Daniel Hunt, gave an entertaining presentation on the reptiles, amphibians and insects that live at the reserve. 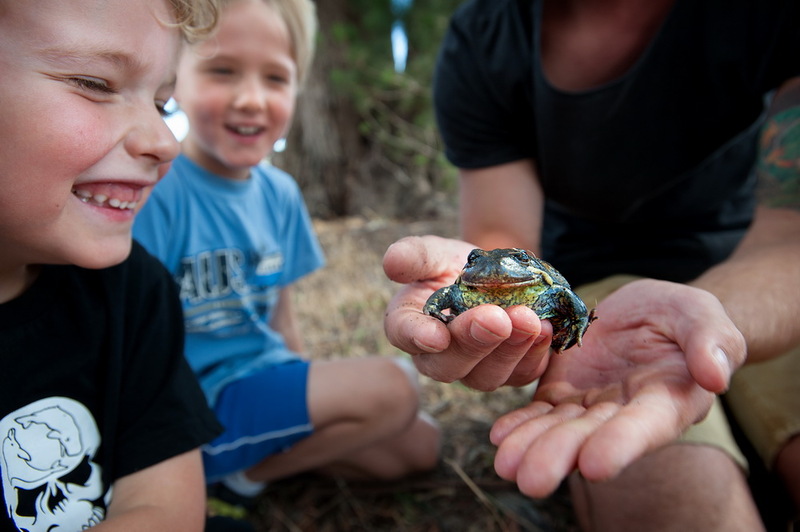 Accompanied by Limpy the blotched blue tongue Lizard, Sally the python, Bob the southern banjo frog, and Lizzie the eastern blue tongue lizard, participants learnt about the reptiles, amphibians and insects that live within the Bald Hill Reserve. “It’s great for children to get outdoors and engage with these amazing creatures that live so close to them. It’s important not only for the young but the old to get an understanding of the importance of a place like Bald Hill as species and ecosystems vanish all over the world. After all its biodiversity that keeps us all alive.” said Daniel. After the walk participants walked to the top of Bald Hill searching for creepy crawlies. Scorpions, spiders, centipedes and beetles were discovered in their hiding spots, a wallaby was spotted up close, and a beautiful flowering Magenta’s Stork’s-Bill seen nestling in some rock formations. 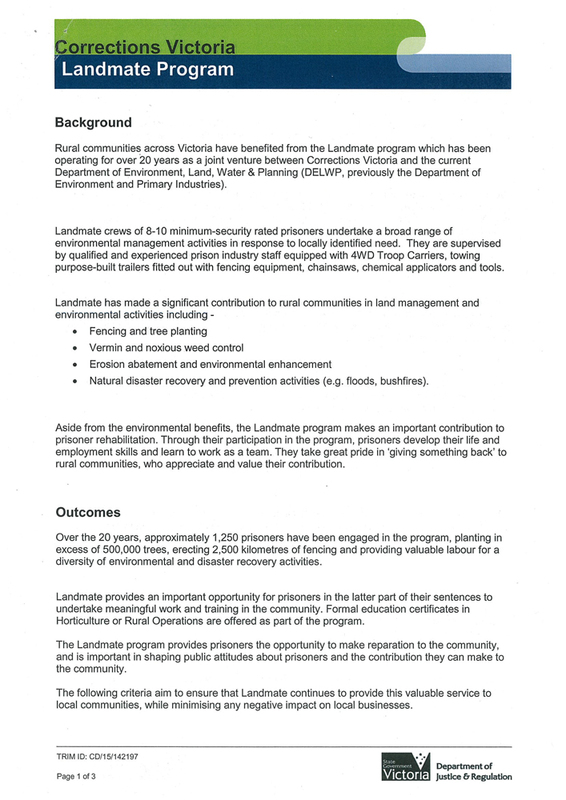 CAMPASPE VALLEY LANDCARE GROUP TACKLES WEEDS. 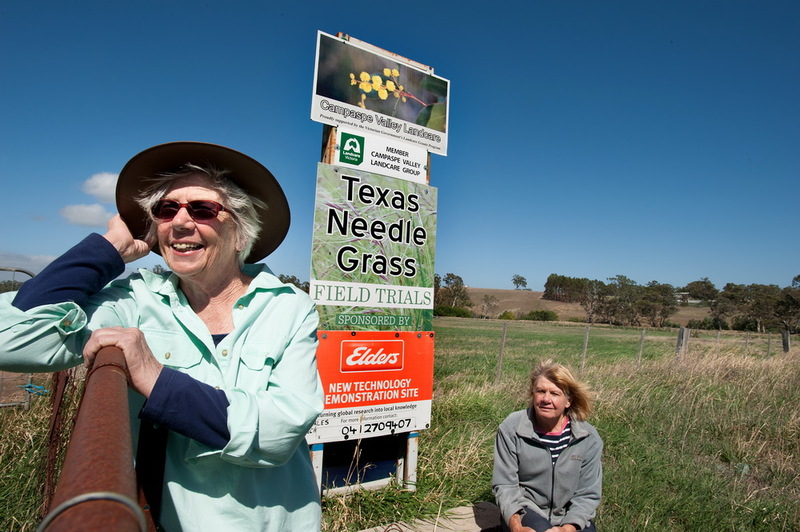 The Campaspe Valley Landcare Group has been hard at work producing a booklet titled “A Ute Guide to: Chilean and Texas Needle Grass. Identification and Management”. 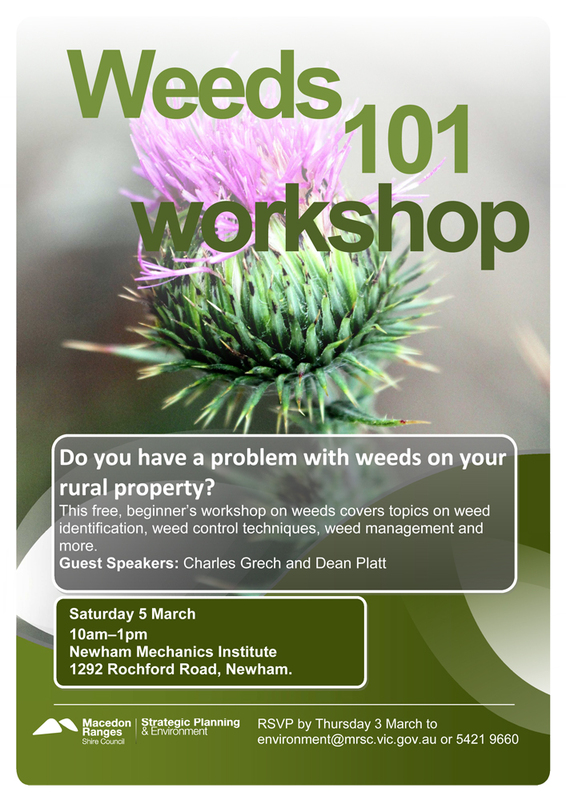 It will be out soon and will be a fantastic resource for landowners who want to learn how to identify and manage the weed which is fast becoming a problem in our area. If anyone would like one of these guides please contact me on uclandcare@gmail.com. 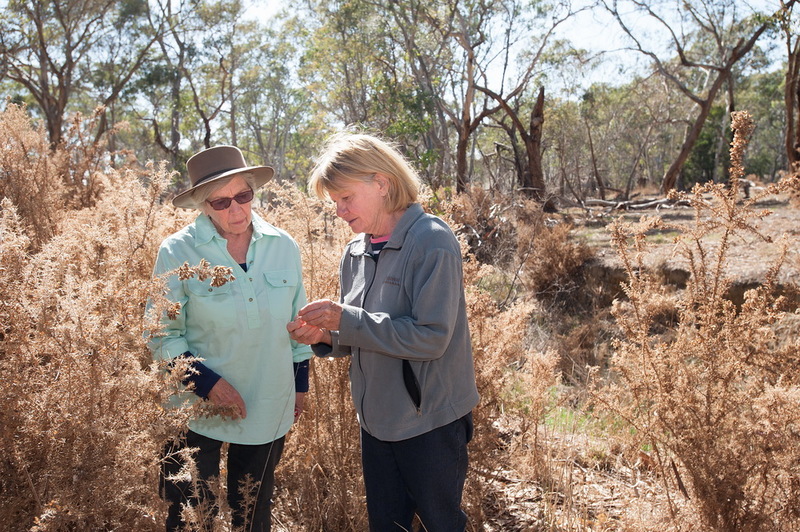 Barbara and Jan from Campaspe Valley Landcare have also successfully stopped a gorse infestation and seed bank from spreading onto neighbouring properties by alerting DELWP to the problem. DELWP then applied for money under the Good Neighbourhood Program to address the infestation. They are also involved in gorse control on members properties and roadsides. The Upper Campaspe Landcare Network recently received a grant to assist in developing long term Action Plans for Landscape restoration along two natural corridors. 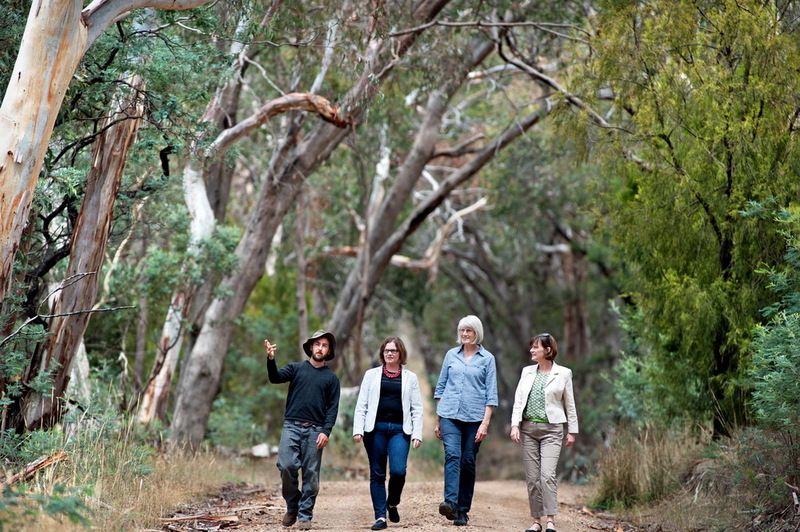 One of them – the Cobaw Campaspe Biolink Project – involves Woodend, Ashbourne, Carlsruhe and Newham Landcare Groups. A desktop study is currently being compiled identifying assets and features along the corridors. 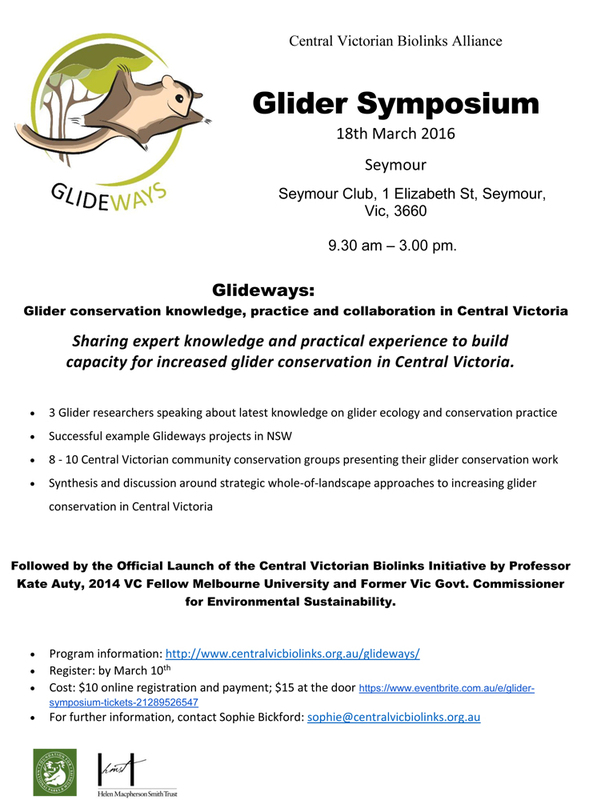 The study will also identify any conservation and land use issues and threats to the landscape.Workshops in the field are planned, open to landowners, Landcare members and interested stakeholders. They will include walk and talk events with ecologists and indigenous owners looking at issues such as threatened species, river and grassland restoration and remnant vegetation management. The workshops will be seeking input and feedback from participants which will then be incorporated into the project action plans. This information will help Landcare groups and landowners set long term objectives regarding protecting our precious environment. I will keep you notified of the workshops as plans progress. 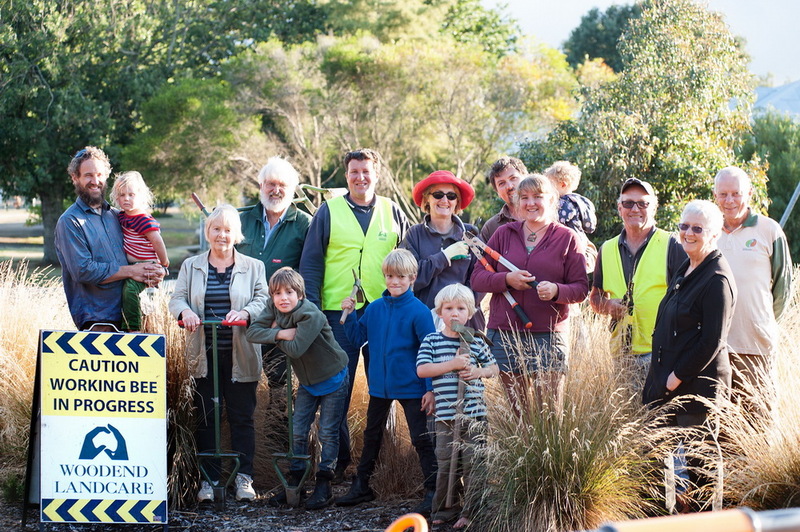 The Woodend Group is continuing with their planting of indigenous vegetation along 5 mile creek and at the Woodend Children’s Park, and undertaking ongoing follow up weed control, as well as conducting a “willow attack” at Tennyson St Weir. They have a planting day organised for Mother’s day, and will be promoting their group at the Woodend Sustainability Festival. Would your group benefit from having a Landmate Crew work in your area? Supervised,qualified and experienced teams of 8 to 10 prisoners are available for $400.00 day. We have had good feedback about the work that has been done by these teams within our Network. UCLN, Woodend, Newham, Ashbourne and the Campaspe River and Land Management Group will be on display at the Macedon Ranges Sustainability Festival at the Woodend Community Garden and Hub site. The festival runs from 10 am till 4 pm on Saturday the 27th February. Please come along to check out our local biolink plans and learn about what Landcare and other environmental groups in our region are doing. There will also be forums on Nature and Climate Change, Sustainable Food and Mobilising Communities for Change. 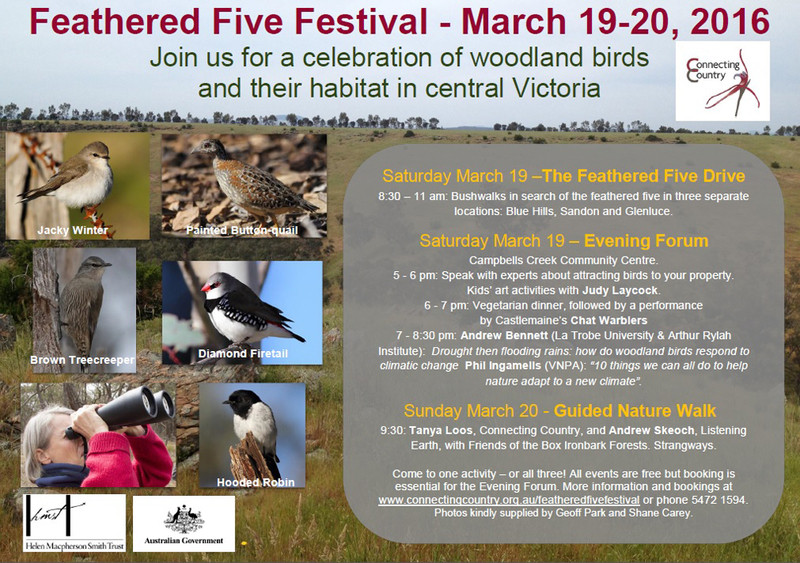 Connecting Country is holding its inaugural Feathered Five Festival. 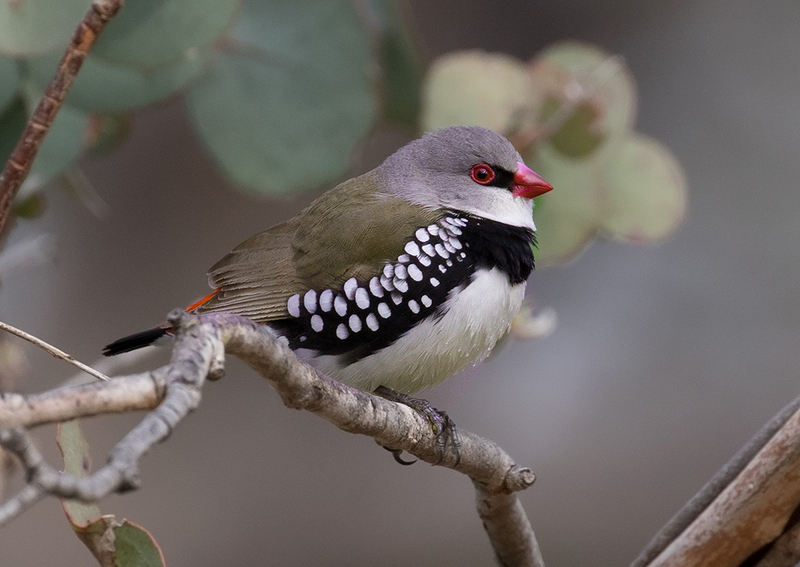 It is a celebration of woodland birds and their habitat with two days of birdwatching, activities and talks over the weekend of 19-20 March. 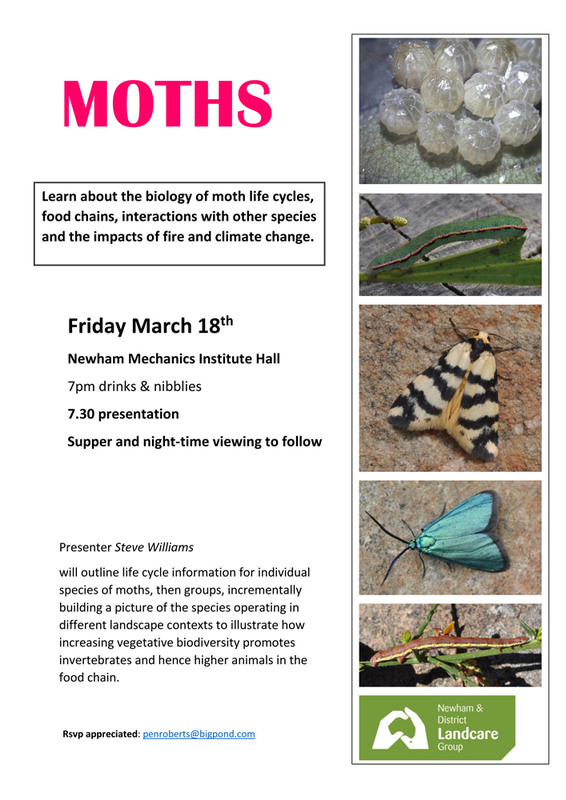 There is also a free Saturday Evening Forum on the 19th of March in Campbells Creek.See poster below for more info. More information about the festival is available at: http://connectingcountry.org.au/featheredfivefestival/ or call Connecting Country on 5472 1594. The Small Grants for Rural Communities is the longest running and broadest program Foundation for Rural and Regional Renewal offers, opening twice per year. Grants of up to $5,000 are available for projects and activities that offer clear public benefit for communities in rural, regional or remote Australia. 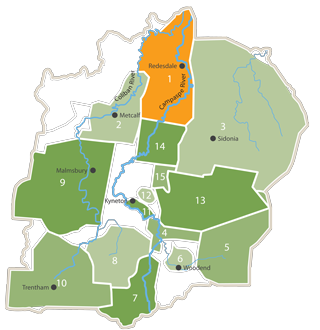 Priority is given to communities of 10,000 or fewer. Applicants must be not-for-profit community organisations with an ABN or incorporation certificate. Round 29 is now open and applications close 5pm Thursday 24th March 2015. 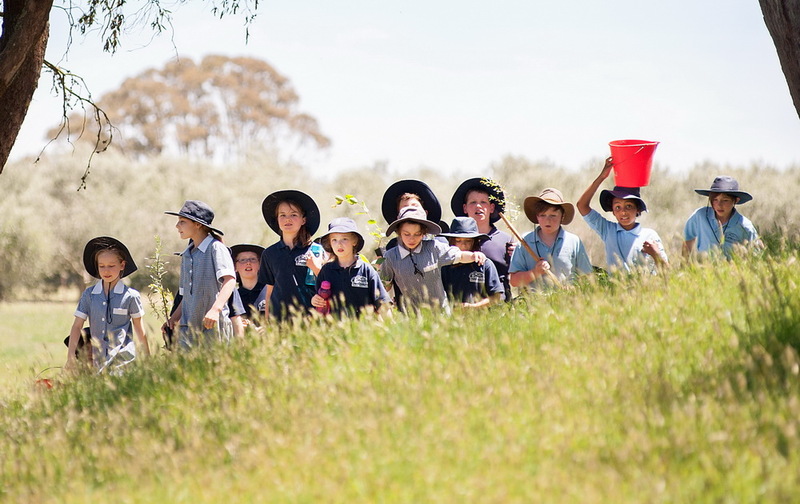 The One Tree Per Child program is an opportunity for Landcare groups/networks and Councils to receive funds ($2.50 per tree/shrub) for planting projects this coming planting season. 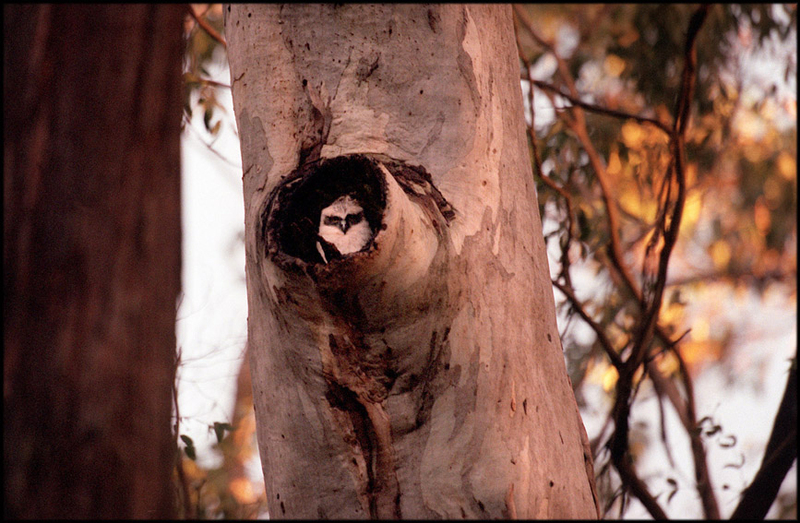 The funding for the program is from the Australian Government’s 20 Million Trees program. Who can apply: the guidelines and application form only mention councils as possible applicants. However, applications are also welcome from Landcare groups/networks and any other organisations that can deliver planting projects this planting season. Applications close: there is no closing date, but One Tree Per Child would like applications to be submitted very soon, or at least to have had some firm discussions in the next couple of weeks about projects that can be undertaken this planting season. Where: projects can be across more than one site. Note – each planting site must be at least 0.2 hectares. Plant species: tree/shrub species that reach two (2) metres at maturity. Note – projects of 4,000+ plants will be prioritised. When: projects that can proceed this winter planting season. Who: where possible, projects will involve local primary school children in the planting activity. Alternatively, schools could deliver curriculum activities at a planting site, or there could be an “open” invitation to the community to participate in a planting. Funding: $2.50 (ex GST) per tree/shrub. 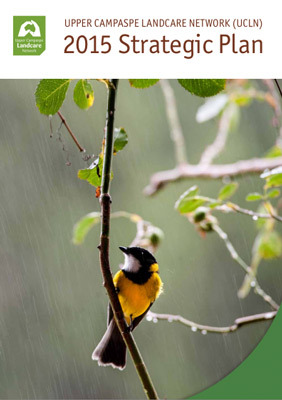 Project outcomes: projects that improve the extent, condition and connectivity of indigenous vegetation by planting tree and shrubs . North Central Catchment Management Authority (CMA) in conjunction with the Swan Hill Rural City Council is pleased to organise and host a regional Future Farming Expo on Thursday 14 of April at the Swan Hill Town Hall. The all-day event will feature renowned guest speakers, site visits, a networking lunch and workshops on a variety of topics. Attendees will hear about farming succession, farming in a variable climate, farm insurance, breaking into new Chinese markets, Free Trade Agreements and much more. Full program details will be on North Central CMA website shortly for this innovative free event. 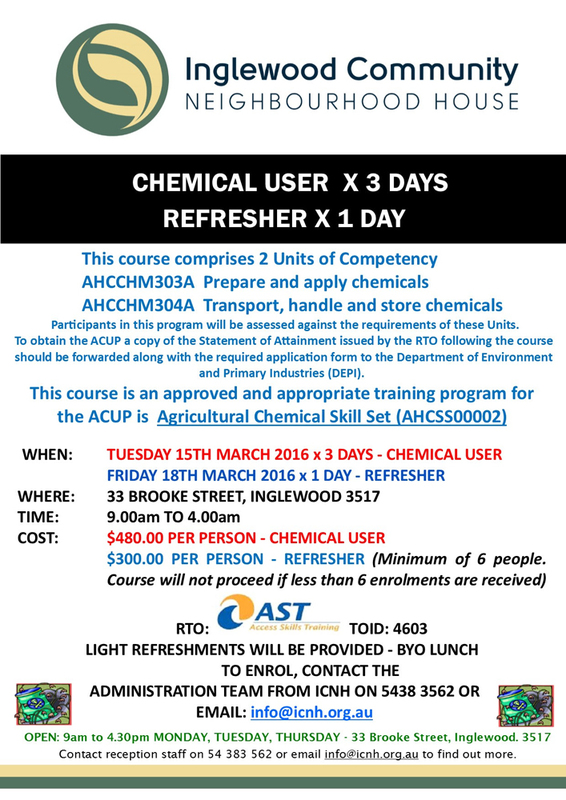 Early registrations are open now, please contact North Central CMA on (03) 5448 7124. 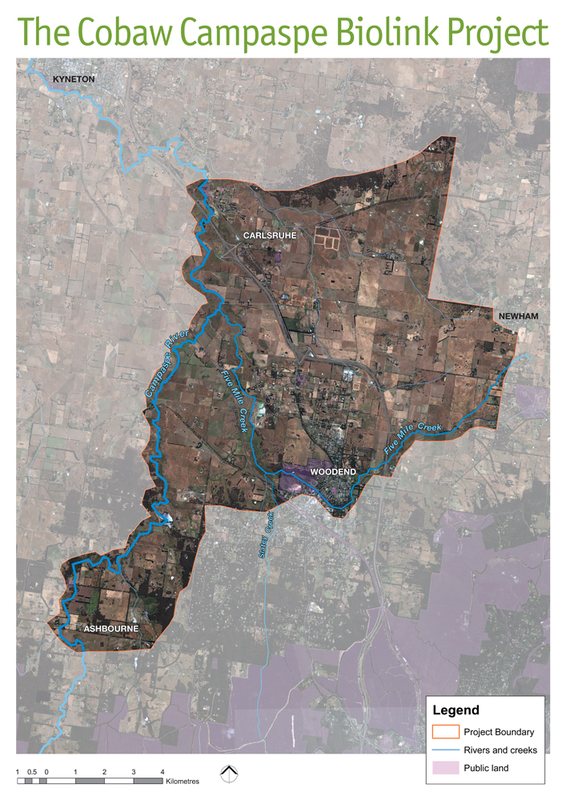 The draft environment strategy will guide how Council and the community can work together to protect and enhance the Macedon Ranges and there are a number of ways you can have your say until Thursday 24 March. It provides high level guidance to Council for improving environmental outcomes across its range of activities, and for working with the community towards a better environmental future. It sets objectives, policy statements, and high level actions for the key themes of climate change, biodiversity, catchment management, and resource efficiency. Following the close of the exhibition period on 24 March, the draft strategy will be updated to a final version, accounting for community feedback and discussions. The final strategy will be presented to Council for adoption in June 2016. Your input and time is greatly appreciated and we look forward to your feedback. 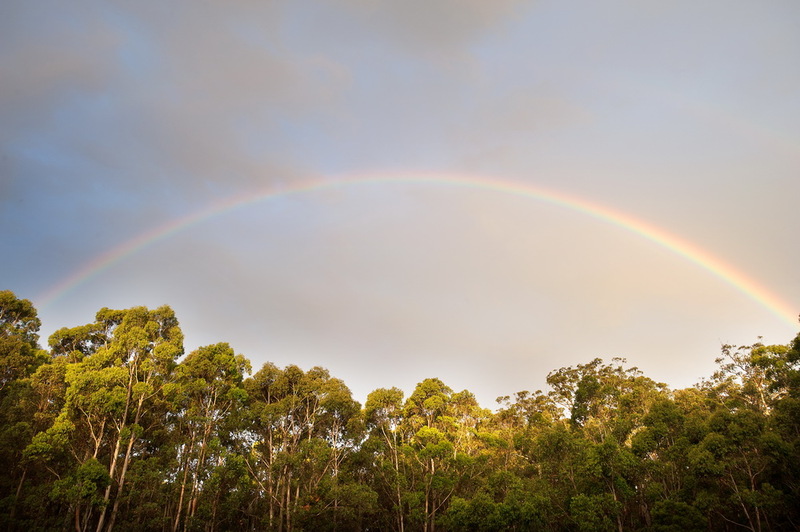 This month features some exciting Waterwatch program updates and articles from local Landcare groups doing wonderful work within their local communities.